"Campus to Corporate" threw's light on the opportunities that are available and what colleges need to do students more employable. One of the biggest challenges every students goes through is the transition from college to corporate life. Suddenly while, there is a transition from assignments & mid-semisters to team work and deadlines. Corporate house need employees that can be immediately employed and deployed. There is huge demand and supply mismatch in quality man power in terms of technical skills, communication, articulation and team work. 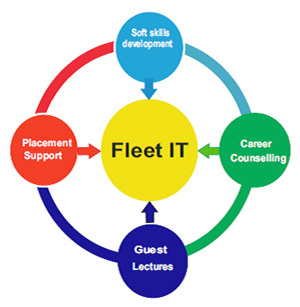 Training college students to make them more employable is one of the key challenges for most of the companies in India.